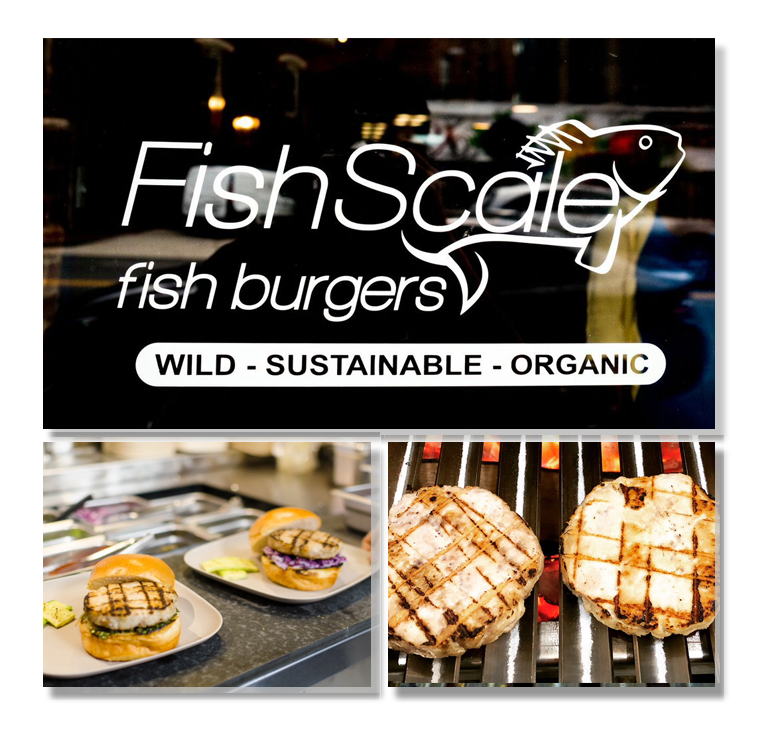 FishScale prepares delicious burgers sourced from sustainable wild fish in accordance with the Monterey Bay Aquarium Seafood Watch Program. We take arduous strides to know the origin of the fish we serve and how it was caught. We eschew farmed raised fish and conventionally grown foods. We purchase our fish fresh every day, fillet and make our burgers in house daily. There are no bread crumbs or any other fillers in our burgers, just a quarter pound of fresh fish that is grilled over natural hardwood at the time you order. We are not apologetic about the wait because most of the time, good food takes time. Our house made condiments are made from organic produce and ingredients. Our belief is if you have to eat, let the food taste good and be good for the your health and our environment. We take great pride in knowing what we serve you. Honestly, it’s just how I eat. Some may call it serendipity; we like to call it God’s will. Inspired by the book, “Natural Cures” given to Brandon by his oldest sister Nichelle. The book changed Brandon’s perspective of food from beyond the “just love to eat” mentality to viewing food as a conduit for sustenance, health, healing, and well-being. With this greater revelation, Brandon began to ascertain where the food he loved was grown, how it was produced and processed, as well as the impacts that process had on his health and the environment. His understanding of this information coupled with his Christian beliefs, brought him to realize that if God gave humankind dominion over the earth, then we should respect and use it responsibly. Organic and wild foods are not a trend for Brandon it is who he is. Fast forward to a family cookout where Brandon wanted to placate his mother who was a pescatarian at the time. He made wild caught fish burgers for her and to his surprise, hamburger connoisseurs’ plates occupied fish burgers. His mother barely received one. Realizing that his mother couldn’t get fresh prepared fish when she was on the go, he quickly knew others who lamented the same void. Since his parents are educators, his mother coaxed him into attending culinary school to hone his cooking skills and learn the business of restaurants. 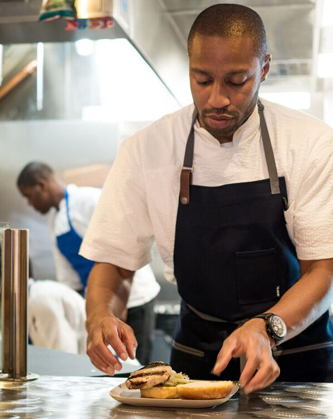 From there, Brandon did his externship at BlackSalt restaurant in Washington, D.C and graduated from L’Aademie de Cuisine. After encouragement from his sister Kristal, he went on to start FishScale at the Farmers’ Market by the White House and after 6 weeks he received a rave review in the Washington Post Food Section by Nevin Martell. Within 2 months of opening he received an amazing review in the Going Out Guide by Tim Carman. I’m so blessed to have such great and loving parents and sisters, whom have all played an intricate role in my life trek to get to this point. Without each of them and most importantly God, none of this would be possible. And without these purveyors who share the same core tenets about food and the environment as we do, FishScale wouldn’t be able to serve you outstanding food. The American Heart Association recommends at least 2-3 servings of fish per week. It is widely known that fish are a good source of Omega-3 fatty acids DHA and EPA which may help protect the body against heart disease, high blood pressure, inflammation, brain health, diabetes, digestive disorders and even autoimmune disease. At FishScale, we believe that sustainably caught wild fish is better for your health and the environment. Conversely, farmed raised fish is a conduit to produce larger amounts of fish much more quickly and cheaper than with wild fish. The density of fish creates problems like disease and pollution. The biggest source of pollution comes from the copious amount of fish waste and unconsumed food beneath the sea pens which can be a detriment to the quality of surrounding water. Factory farming of the sea, which creates the overcrowding of fish in these pens requires certain chemicals to keep them from getting sick and maintain a clean environment. 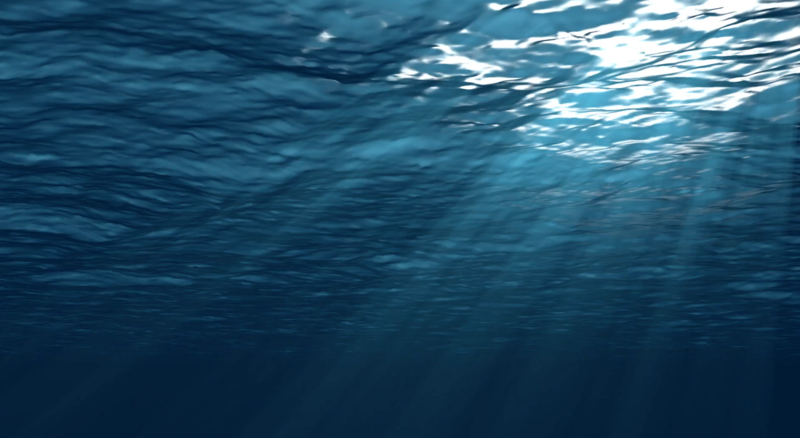 The chemicals used in marine aquaculture operations such as medicines like antibiotics and vaccines, disinfectants, and substances used to prevent corrosion of equipment (cages, etc.) can also change the composition of the surrounding aquatic ecosystem. Since farmed fish are raised on unnatural diets and in small enclosures they often foster disease, which can pass to wild populations. Some of the antibiotics that have become prevalent in fish farming can promote drug resistant bacteria and spread to wild populations. Did you also know that farmed salmon has to be fed a coloring pellet to turn its flesh pink? Alternatively, wild sockeye salmon’s rich hue is due to its natural diet of mostly plankton? This is also why wild salmon is superior in nutrients and Omega-3 fatty acids vs. farmed. Mon-Wed: 11 a.m. – 8 p.m.
Thurs–Sat: 11 a.m. – 9 p.m.